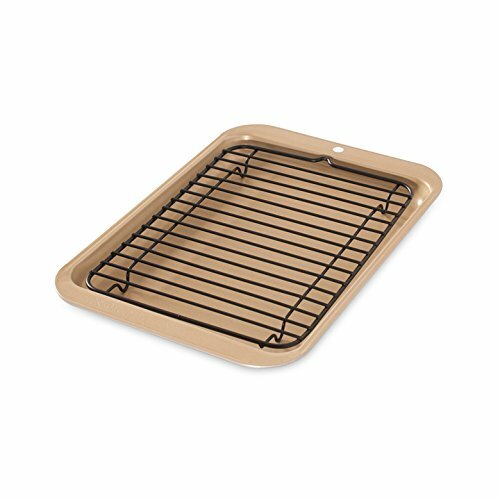 Nordic Ware 42210 Toaster Oven 2pc Broiler, Metalic Gold Baking Sheet is currently selling at $8.61, approximately $0.15 lower than average, giving a potential saving of $0.18 right now. With a lowest price of $8.61 and an average of $8.76 it is selling on the low end of its usual range. Price volatility is 0.3% (meaning it does not change often), so the price should stay low for a while. Right now this product is a recommended 'good deal'. The current deal is also the best price on this item over the last month. 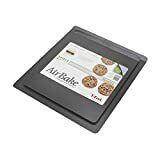 Compare the current price, savings (in dollars & percent) and Buy Ratings for the top Baking Sheets that are closely related to Nordic Ware 42210 Toaster Oven 2pc Broiler, Metalic Gold Baking Sheet. Here is how Nordic Ware 42210 Toaster Oven 2pc Broiler, Metalic Gold Baking Sheet compares with other leading Baking Sheets. Sized for easy storage and small spaces this set can be used for both toaster ovens or regular ovens. With the non-stick surface cooking and cleaning are a breeze. Broil or cook your favorite meals in your toaster oven, outdoor gas or electric grill, camp stove or RV stove with this Nordic Ware Broiler Pan set. Made in USA with imported rack. FeaturesSafe for use in toaster ovensGreat to use on camping stoves and RV stovesNon-stick finish for easy food release and cleanupHand wash with mild detergent, Outer dimensions of the broiler set is 10"L x 7"W x 0.63"H. The cooking surface is 8.5"L x 6.5"W x 0.63"H.